I use split merge 3.0 and I have an license issue, if I use the gui version No problem but I use also the command line in batch file and only with the cli version I have an stamp to purchase an license to use split merge. I have also try to use the command set regcode with the provided license key and I receive the message successful registered but the stamp to purchase at bottom of each page is there. I have also tied to uninstall and reinstall split merge always with same issue ONLY if I use the cli method all work fine withe the gui version. What can I do to register correctly the Command Line (cli) version. We have tried to uninstall (delete also pdfg.ini in C: drive root and delete pdfg.dat located in syswow64, and also uninstall from control panel and then fresh reinstall without success, always the stamp to purchase only with the command line version but wee need to use it and we have paid for this,it seems that the license provide don't work for the cli version. In the dos box if we type the set regcode command the return message is successful registered but in fact NOT registered . What we need to do now to solve this big issue. Thanks for your message, we have sent a full version of pdfpg.exe to you just now, the full version of pdfpg.exe will work fine to you. I try to split or merge pdf pages but also delete blank page(s), could you please let me know which parameter must be used in command line only. pdfpg.exe is can only be used to split and merge PDF pages, but it can't delete the blank pages, because it hasn't a function to identify blank pages. 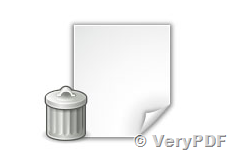 Please understand, "-noempty -mergepdf" options in htmltools.exe is can only recognize "real" blank PDF pages, it is meaning these PDF pages are contain nothing, however, if a PDF page is contain a blank image, htmltools.exe will recognize this page as an non-blank page, because this page is contain a white image, but not contain nothing (white image is not equal to nothing). In this case, please feel free contact VeryPDF at http://support.verypdf.com, we will provide another solution (Image OCR technology to identify blank images) to you to process this type of PDF files. This entry was posted in PDF Split-Merge and tagged delete pages, delete pdf pages, pdf merge, PDF Merger, pdf split. Bookmark the permalink. One Response to How to merge PDF files and delete blank PDF pages? 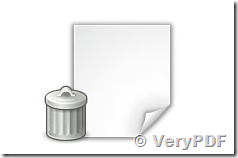 How to split PDF files by blank pages and delete these blank pages? Do you happen to have a PDF page remover that will automatically remove blank pages from a server?